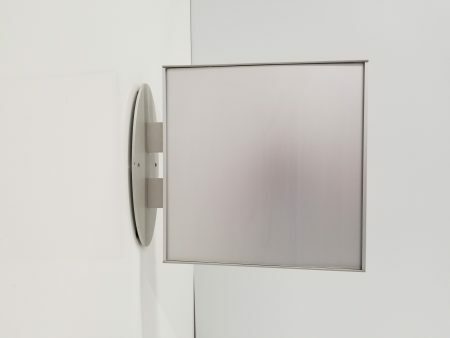 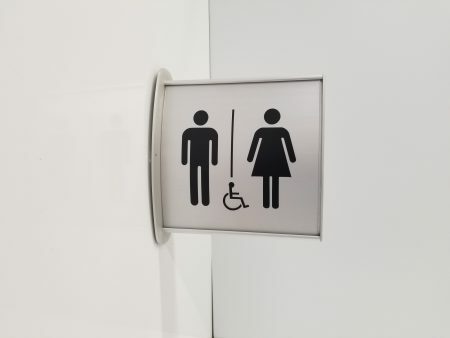 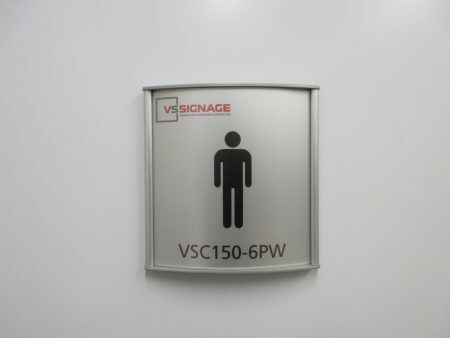 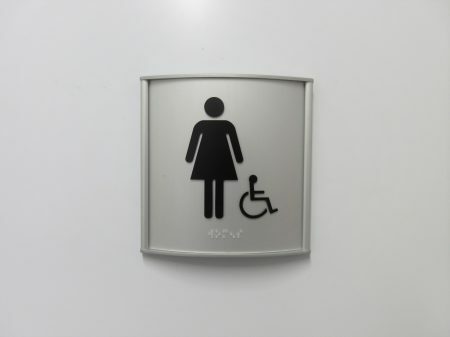 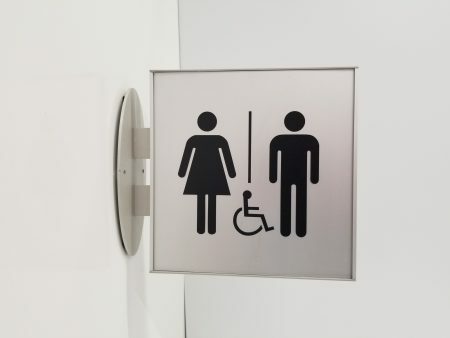 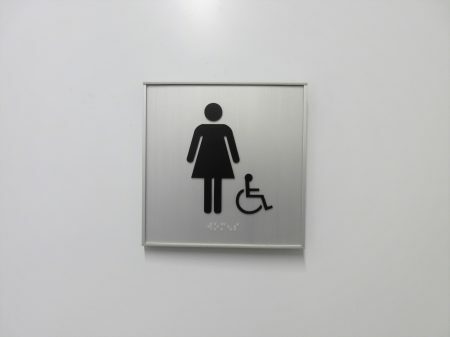 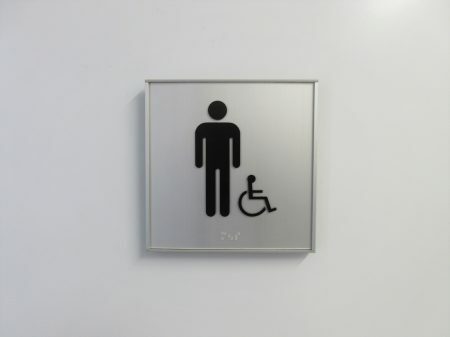 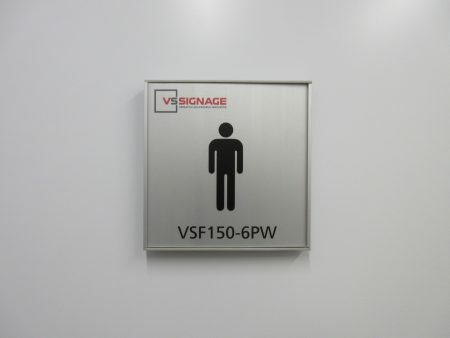 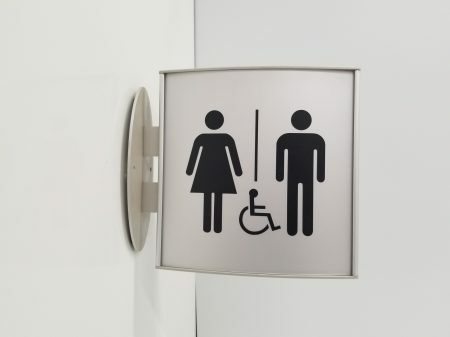 VS washroom signage is available with standard international symbols – Mens, Womens, Unisex, and Handicapped pictograms. 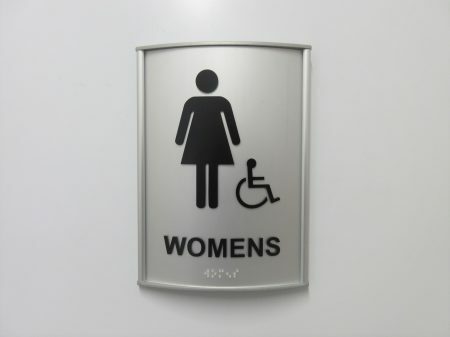 They are also available with additional ADA graphics and Grade 2 braille, along with matching perpendicular mounted VS Washroom signs. 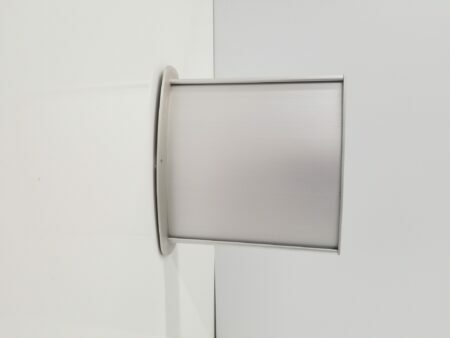 They are available in both the curved and flat profiles. 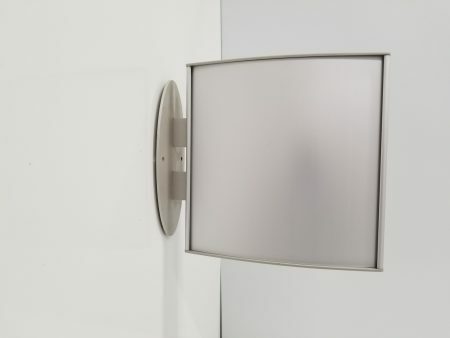 Ships as assembled frame, including end caps, complete insert & clear plastic cover. 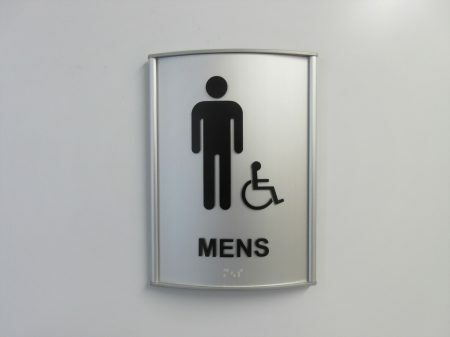 Anodized silver aluminum frame, with grey end caps, and black raised ADA graphics and braille. 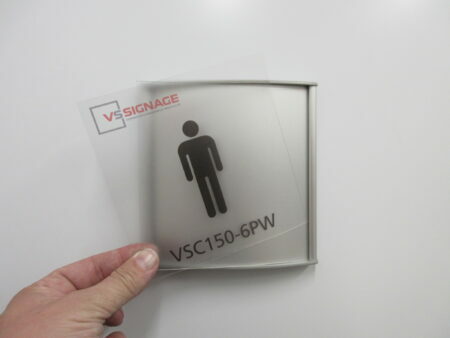 Ships as an assembled two sided perpendicular sign, including end caps, complete insert & clear plastic cover.